For Ray Garrett, an Antivii agent investigating the latest in a string of gruesome deaths, using the HPDID (Human Perceptual Digital Interface Device) on himself is anathema. He has found too many corpses slumped over their computers, an HPDID pressed into their ears to connect them directly to the Lifeline, to trust the apparatus with his imagination, his inner being, and his life. To this point, the case seems like all of the others—horrific, yes; inexplicable, yes; clearly related in some arcane way to the popular need for individuals to experience the internet and all of its possibilities within their own minds. Yet almost immediately, anomalies begin to surface, not the least being his discovery of an HPDID in his apartment, left by his late wife without his knowledge or approval, just before her death. Add to that the fact that the cases—all 243 of them—seem totally unrelated to each other…until Ray discovers references to “The Tunnel,” apparently connecting the murders. From “The Tunnel,” it is only a small step to the Necro-clubs, illegal and underground haunts of those obsessed with a desire to experience death, and live to tell about it. 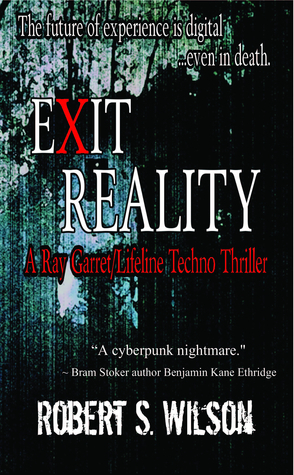 When Ray visits one such club, he realizes to his horror that all three threads—the device left for him by Rhonda, the references to meeting at “The Tunnel,” and the secretive worlds of the Necro-clubs are not only the key to solving the deaths: They are the rationale for those deaths as well. Even more crucially, he gradually comprehends his own unwitting role in what is happening. What is at stake is far more than merely unraveling the enigma of 243 deaths; it is in fact his own sense of self, his identity, his memories of Rhonda, his life, and his soul. What follows is a phantasmagoria of visions and nightmares, horrors piles upon horrors, as Ray struggles to maintain direction in a universe suddenly without meanings. He must discover how to defeat the malignant mind behind all of the deaths and, using the knowledge that he has garnered, turn what might be humanity’s greatest threat into a safeguard. Wilson has crafted a true techno-thriller, an amalgam of traditional gum-shoe prose with the enticement of a technological innovation that will forever alter the nature of human life, plus an admixture of darkness, death, and horror. More, he has created a character who, armed with all that he has experienced in Exit Reality, will now set out on greater, more extensive cases involving Lifeline. And he had brought into being a near-future world in which investigators like Ray Garret will become more and more crucial to humanity’s survival.